Lots of people have in their home or apartment what I call the “forbidden room.” It’s that extra bedroom, not in use as a guest room, where you store all the treasures you don’t have space to put elsewhere in your home. Too good to throw away, but no place for it at this time. It could be extra clothes, lamps or other accessories, dishes, Christmas decorations, maybe that treadmill that you were going to use faithfully, extra furniture, fishing or other sports equipment. Once when I was in New York City, I went to visit a cousin in her apartment. It was two bedroom, two baths, large by New York standards, but not by Oklahoma City standards. In the guest bath, the shower curtain was drawn across the tub, hiding it completely. She told me to open it at my own peril, which I of course did. It was stacked floor to ceiling with books, magazines, file boxes of personal papers, boxes of extra china, and house décor. was her best option for storage, but not yours! 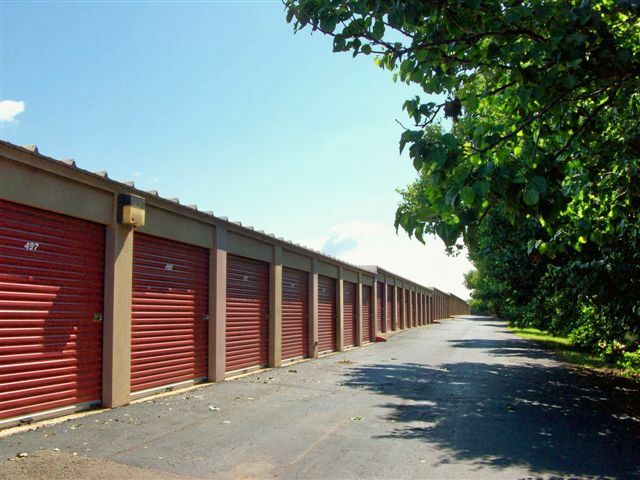 Quail Creek Self Storage is right in your neighborhood, with a storage unit small or large enough to fit your needs. Our manager Bob will be happy to help you decide what size unit you need, and we have a handy diagram shown below that will guide you in deciding what will fit in what size. We have storage units ranging from 5 x 5 to 10 x 30 or even 10 x 40, so you can store all your treasures. larger units will accommodate motorcycles or cars, in case you are a collector. Now you can clean out the garage and know that all your vehicles are stored safely and securely. Your storage unit will be available for you to access 24 hours a day, 7 days a week, and is safe and secure. Just give Bob a call at 749-4613. Our office is open Monday through Friday from 9:30 to 5:30 and Saturdays from 10:00 to 2:00. We’ll also meet you after hours on appointment. We are located close to you – on the south side of Memorial Road, west of May, and directly west of the new Shoppes at Quail Springs. We are owned by one of your Quail Creek neighbors, so we have a direct interest in meeting your needs. Let us help you banish that forbidden room and turn it back into a guest room or study. Give us a call at Quail Creek Self Storage today!